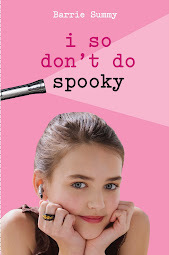 Somehow or other, the thriller NOT A SOUND by Heather Gudenkauf made its way onto my radar. I thought it sounded like a book I'd like to read this summer, and I jotted the info on a scrap of paper and stuck it to the fridge. Along came a rainy day, which put me in the mood for a thriller. I thought why am I waiting till May 30th for the release of NOT A SOUND? 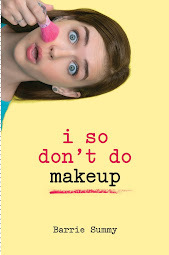 Why don't I read something else by Heather Gudenkauf? And anyway why haven't I already read something by Heather Gudenkauf? 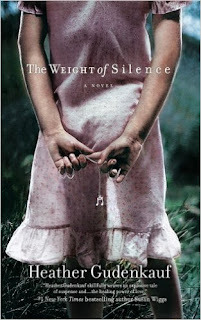 So, I picked up her debut, THE WEIGHT OF SILENCE, which was published in 2009 and was a NYT bestseller. The result? My family ate ordered-in pizza for dinner. 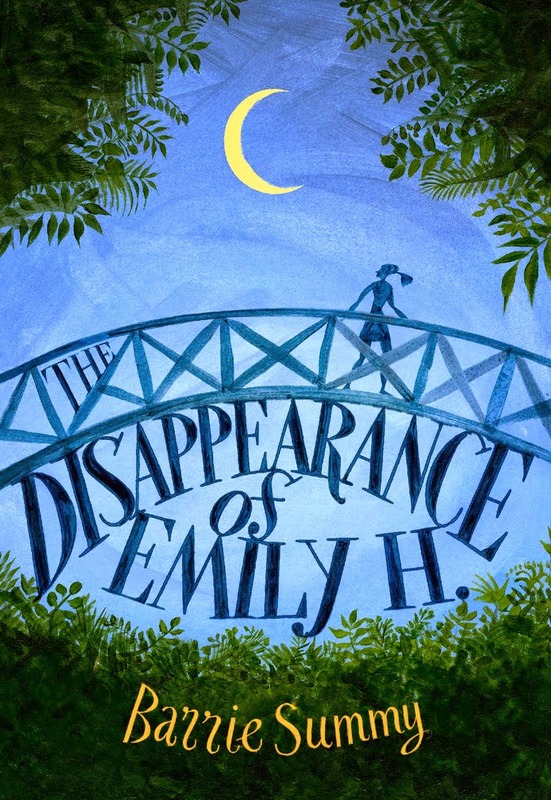 In a nutshell: Early on an August morning in the small town of Willow Creek, Iowa, two seven-year-old girls disappear from their homes. The girls, Calli Clark and Petra Gregory, are neighbors and best friends. Calli has been a elective mute since the age of four after witnessing a domestic violence incident. The story is told from several points of view (which I love): Calli, her mother, her 12-year-old brother, the local deputy sheriff, and Petra's father. The voices are all distinct and different and really well executed. There is loads of conflict: an alcoholic + abusive father, FBI agents vs the local law enforcement difficulties, previous romantic entanglements, a large uncharted forest, etc, etc. Also, due to the number of narrative perspectives, the reader knows much more than the characters in the story. This heightens the tension enormously. The plot is very fast faced. The characters are rich and multi-layered. I happened to guess the identity of the villain (something I'm generally bad at), but it was based more on a feeling than anything concrete. And if anyone else has read/reads the book, I have one teeny, tiny question: I kinda would've liked a different character to pull the trigger. How do you feel about that? All in all, it was a great, edge-of-your-seat read. Any complaints would come from my family because, once I started THE WEIGHT OF SILENCE, I was so absorbed that I ignored everyone and everything around me. It's been several books since I've been this absorbed, and it was A DELICIOUS FEELING.